Here’s a simple, family-friendly craft that you can send to your sponsored child. 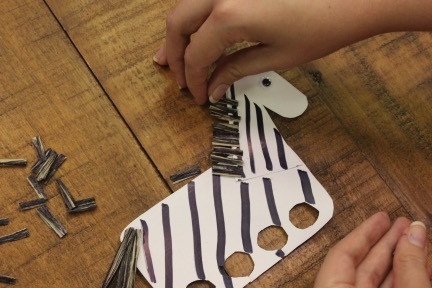 This zebra puppet tutorial comes from the blog I Heart Crafty Things. Are you crafty? Does the thought of construction paper, glue, crayons, and scissors make you smile? Or … are you a crafting disaster? Do you avoid crafts for fear your home might descend into chaos as glitter and paper scraps find their way into every corner? 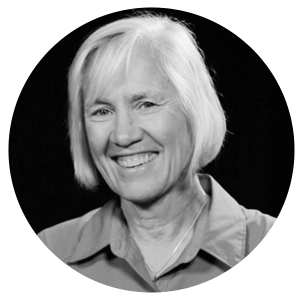 If you’re a child sponsor, it doesn’t matter — kids don’t care! Don’t let your crafting skills keep you from sending your sponsored child a homemade gift. Here’s a simple, family-friendly craft that you can send to your sponsored child. 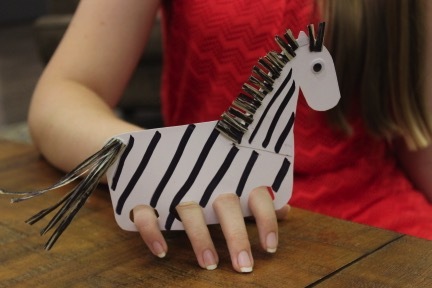 This zebra puppet tutorial comes from the blog I Heart Crafty Things, which is full of ideas for easily shipped crafts. 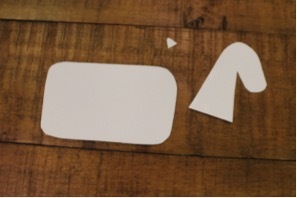 To start, use construction paper to cut out the shapes for your zebra puppet. You’ll need a rounded rectangle, an ear, and a head and neck piece. Next, cut holes in your body piece for fingers. 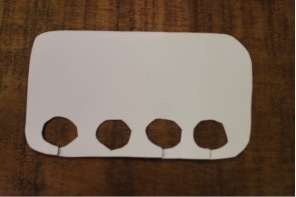 A big hole punch makes this easier, but you also can use scissors. Glue your pieces together and draw stripes on your zebra with your marker. Don’t worry if it doesn’t look perfect — only God makes perfect zebras. Now comes the fun part! Glue or draw on the eye. Then, take your yarn and cut it into several pieces. Glue these pieces to the back of the zebra for a tail, and glue shorter pieces to the back of the neck and head for a mane. Once these are in place, your zebra puppet is ready to gallop into the sunset! When life gets busy, it’s easy to let things like writing your sponsored child fall through the cracks. But simple crafts like this one make it fun and stress-free. And they mean the world to your sponsored child because they show how much you care. For more craft and gift ideas, check out our Pinterest page. 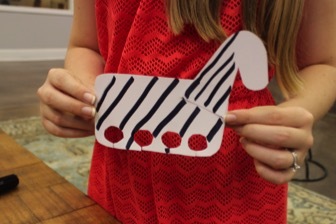 And if you try making this zebra or any other craft for your sponsored child, let us know on our Facebook page! We love to see how our sponsors get involved with their sponsored children. You’re already making a difference — now go make a zebra!